Thank you to Aperient Press and Jane Wesman Public Relations for the free copy of this book to read and review. This book follows the work and personal life of the main character Mark Douglas, an ex-marine and now IRS Agent. Along with his IRS gang, they go out to collect back taxes in many forms, from cash, trade, etc. One day Mark’s good friend Lila, who is also his boss, ends up murdered and Mark and his IRS team is determined to find out what exactly happened. I really enjoyed reading this book. 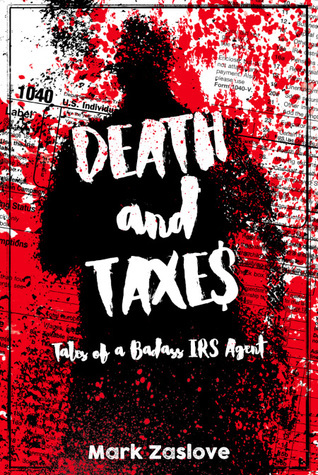 The main character Mark is a true badass IRS Agent. I loved his up front, blunt and tell it how it is attitude and outlook on everything. I enjoyed reading about his character and learning about his past, to get an understanding of what made him into the man and IRS Agent that he is today. This book is full of many likable characters, and I enjoyed reading and learning about all of them. This book was hard to put down once I started reading and I found myself hooked from the very first page. The book is very well written in a way that draws you in and keeps your attention the whole way through and leads you wanting to continue reading to find out what happens next. The book draws you in form the very beginning and I loved all the shocking twists and suspenseful turns in the story. Right!? I love it and the cover is stunning too. The authors style of writing is really interesting and great as well. If you love the title you’ll love the book too 🙂 Let me know if you decide to read it. Would love to hear your thoughts.